The Last Shot in the Bar Takada (Ryuhei Matsuda) receives a request to find a missing woman. 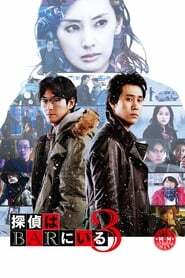 The missing woman is university student Reiko (Atsuko Maeda). While tracking Reiko down, Private Detective (Yo Oizumi) and Takada (Ryuhei Matsuda) meet Mari (Keiko Kitagawa), the owner of a model agency. They get involved in a big incident.